From Vizio TV official website you will know the detail information of your HD TV, and you will know that only MP4 video format is supported by Vizio P Series 2016 4K TV from USB, so if you have collected a lot of videos in other formats, like MKV, AVI, WMV, FLV, MOV, M4V, MTS, M2TS, TiVo, VOB, etc. you will not be able to transfer them to USB flash drive and then watch on Vizio P Series 2016 4K TV smoothly. In this case, how can we play unsupported 4K videos on Vizio P Series 2016 4K TV from USB? The best way is to convert 4K videos and movies to Vizio P Series 2016 4K TV supported video format like MP4, and then you can transfer converted videos to USB for playing on Vizio (P50-C1, P55-C1, P65-C1, P75-C1) 4K TV. To get the job easily done, you will need a powerful 4K video converter software, here we would recommend you to download a beneficial tool called Pavtube Video Converter for Windows/Mac, which facilitates you to directly output Vizio directly playable H.265 MKV format. The program can transcode different file formats 4K video (3840 x 2160 or 4096 x 2160 4k resolution) such as YouTube, Netflix download 4K video, Sony/Panasonic/Canon/Samsung captured 4K video with the format or codec of H.265/HEVC, MXF, MP4, XAVC/XAVC S, Prores, etc to various different file formats or device preset profile formats for playing on portable devices. 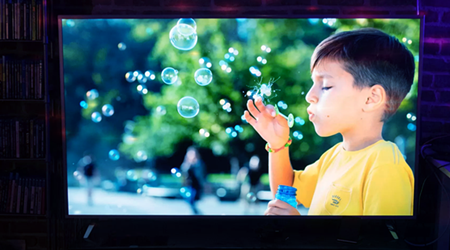 Then, you will be able to directly output any video to Vizio 4K TV/Vizio LED Smart TV/Samsung/Panasonic/LG 4K Ultra TV/Panasonic TV profile optimized file format with all the suitable profile parameters. In addition, you can also upscale SD, HD and full HD video to 4K UHD with a resolution of 3840*2160 in the output “Profile Settings” window. Note: Have lots of movies on your Blu-ray/DVD disc and looking for a way to transfer and watch them on 4K UHD TV, just go to download ourPavtube Video Converter Ultimate for Windows/Mac (best Video Converter Ultimate for Windows Mac) to make it. Steps guide: How to Convert and Play 4K video on Vizio P Series 2016 4K TV? Download and install the program on your computer. Get it running and click “File” > “Add Video/Audio” or “Add from folder” to import 4K video files to the program. 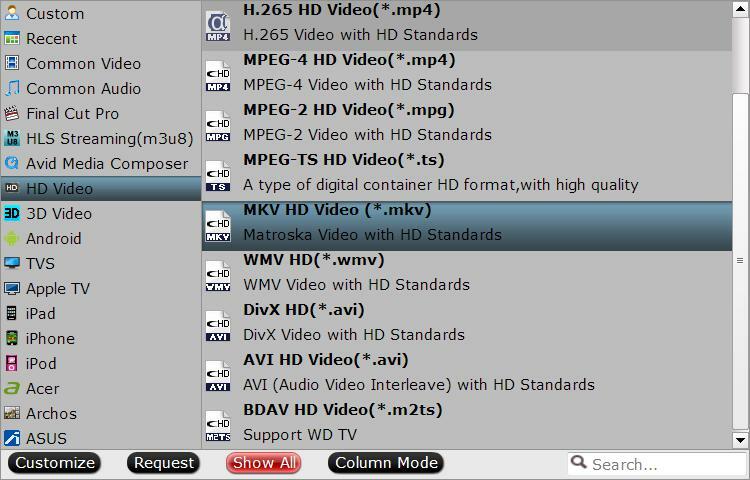 From “Format” drop-down list, scroll down to select “HD Video” > “MKV HD Video(*.mkv)” as output file format for Vizio P-Series 4K TV. You can also click “Format” and navigate to “TVS” profile. Here lists the main four TV brands(include: Samsung, LG, Sony, Panasonic etc). Click “Settings” button to customize the output video and audio settings by yourself. But if you are not good at it, you’d better use the default parameters, they will ensure you a good balance between file size and image quality basically. You can change the resolution, bit rate, frame rate as you need. If your source Videos are 4K solution, you can keep the original 4K solurion or down-convert ultra HD 4K to 1080p. Press on “Convert” to start to convert 4K Videos to VIZIO P-Series 4K TV supported format. Once the process ends, open the output folder to locate the video. See, with just three simple steps, you will never need to worry that you can’t play 4K Videos file on Vizio P-Series 4K TV. So just try do some 4K video processing before you play this 4K Videos file on Vizio P-Series 4K TV and other 4K TV. Learn >> How to Play Movies From USB to a TV. Samsung 4K SUHD TVs support 4K mov from Nikon D5?